The Inner Resources Center provides meditation and mindfulness classes and interventions designed to improve coping with stress. The Center conducts psychoeducational programs, clinical interventions, professional training, and research concerning the applications of mind-body therapies, especially meditation, for mental, emotional, physical and spiritual well-being. Cost: $25 covers the 8-week class and the Inner Resources Participant Manual with 4 guided meditation CDs. 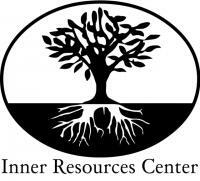 Inner Resources is a program available to current Gronowski Center clients. If you are interested, please speak with your therapist or inquire at the front desk.